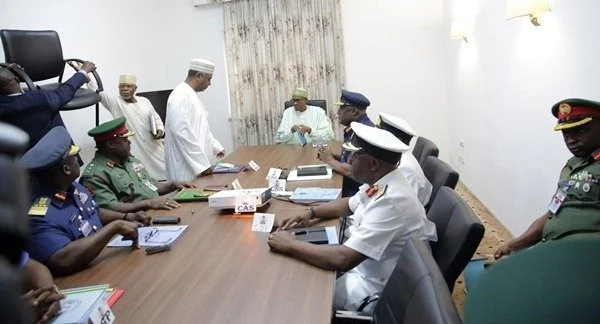 President Muhammadu Buhari on Tuesday met behind closed doors with service chiefs, Minister of Defence, retired Brig. 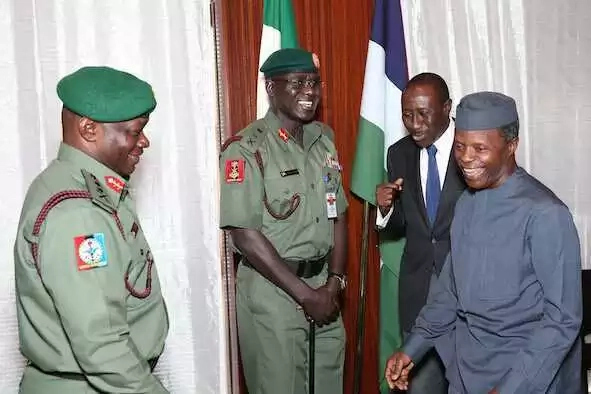 Mansur Dan-Ali and the National Security Adviser, retired Maj.-Gen. Babagana Monguno. 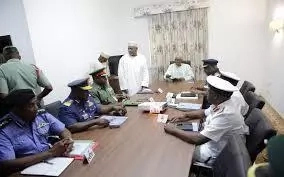 The meeting, presided over by President Buhari, being attended by the Director General of the State Security Services, Lawal Daura; the acting Director of the Nigeria Intelligence Agency, Amb. Arab Yadam; and the representative of the Inspector-General of Police. 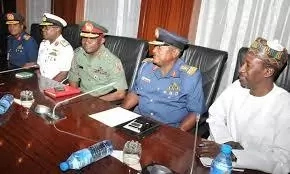 The service chiefs at the meeting include Chief of Defence Staff, Gen. Gabriel Olonisakin; Chief of Army Staff, Major-Gen. Tukur Buratai; Chief of Naval Staff, Rear Admiral Ibok-Ete Ekwe Ibas and the Chief of Air Staff, AVM Sadique Abubakar.